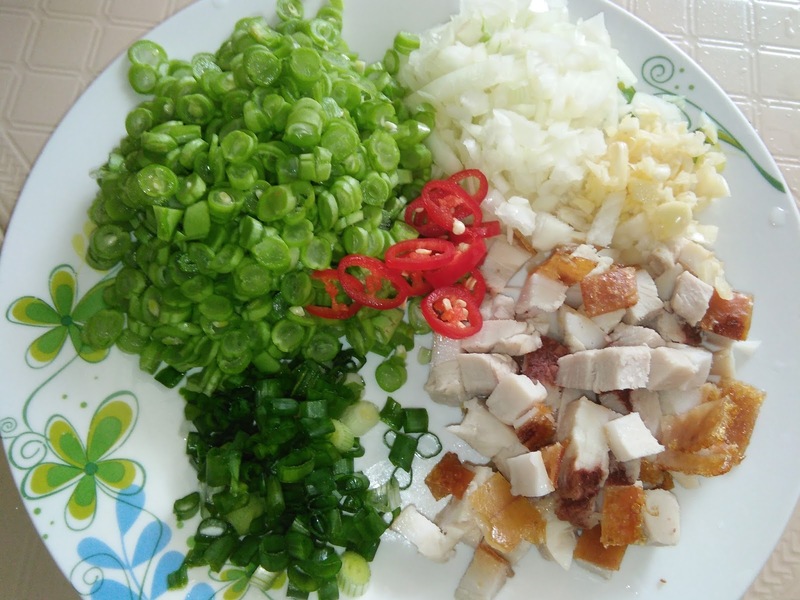 Siew Yoke can be used as an ingredient for fried rice, too. 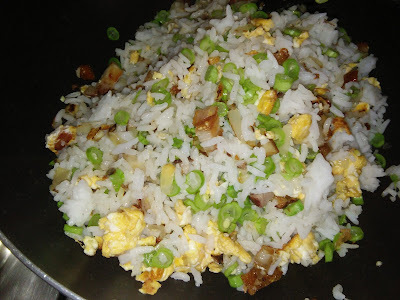 This again is a simple and easy fried rice that you can try yet the result is awesome. Great as One Dish Meal. The meat is stir fry until aromatic and crispy. 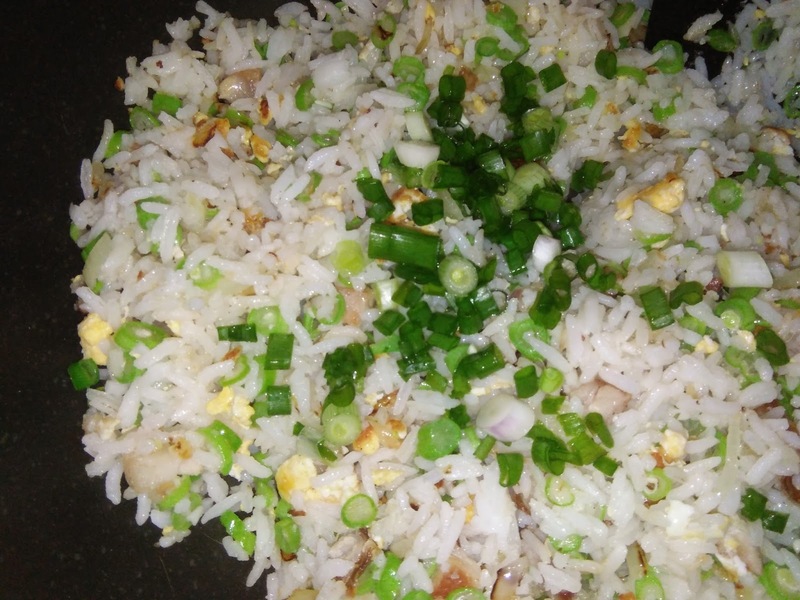 It tasted fragrant and blends well with the rice and other ingredients. Heat oil in a non stick wok, fry roast pork until aromatic and lightly browned. 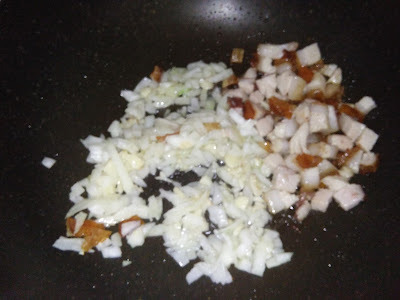 Push aside, saute garlic and onions until aromatic. 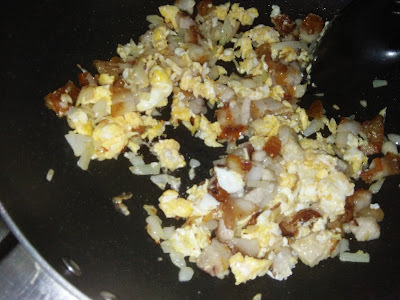 Push aside, add a little more oil, fry eggs until crispy [stirring continuously], then mix with the rest of the ingredients. 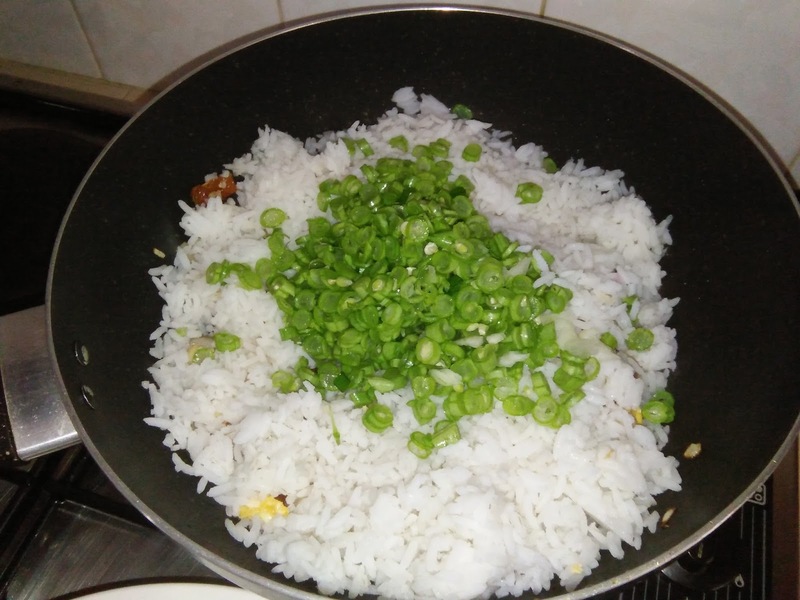 Add in cooked rice and French beans. Toss well all the ingredients, then add in seasoning to taste. Continue to fry until rice is light and fluffy and French beans are cooked. Add in spring onions. Mix well and dish up to serve with cut chillies. 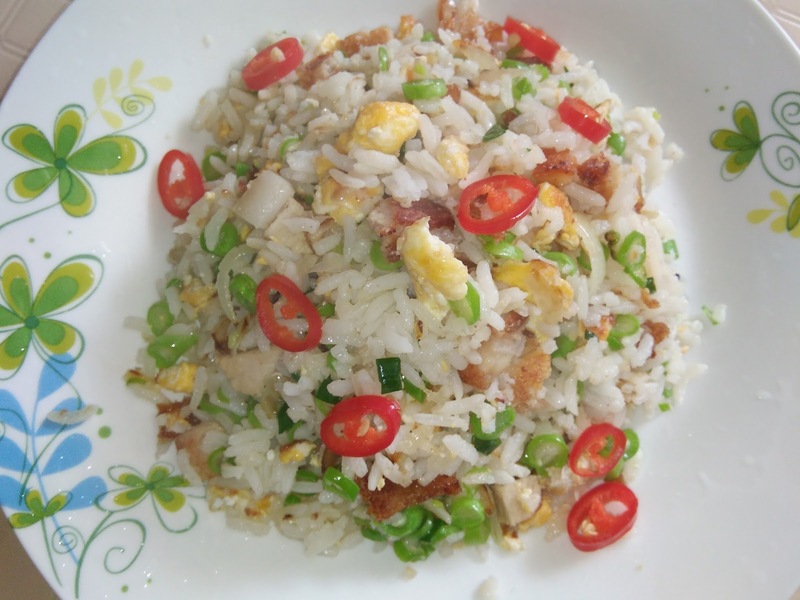 Oh....this fried rice with roasted pork must be very aromatic and delicious . Hi Aunty Young, yes loved the fragrant and tasty roasted pork bits. Great and delicious is this simple fried rice. Awesome. Waaaahh...Kimmy...I beh tahan liao! 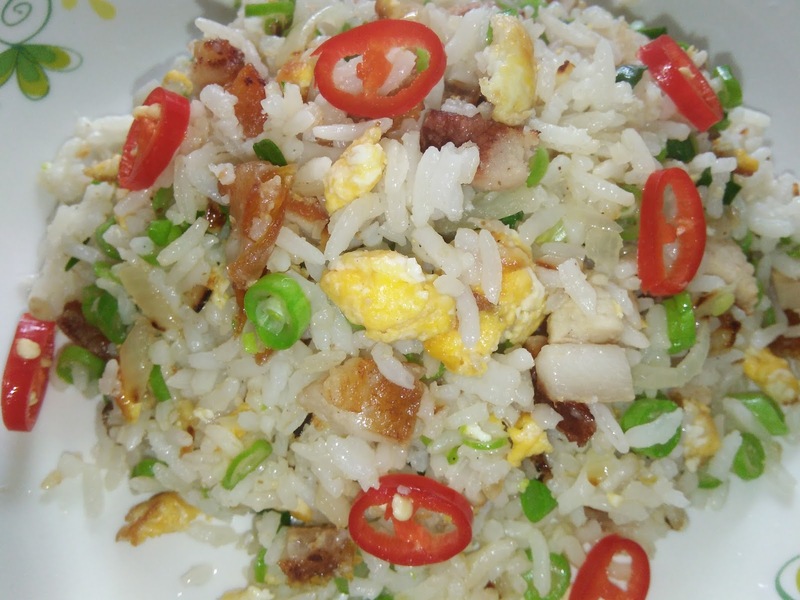 This fried rice is premium quality with sio bak inside. I can eat a big plate! 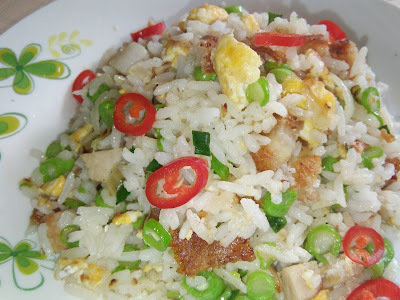 Hi Phong Hong, I prepared this fried rice for my girl's dinner before I attend a CNY dinner. I also beh tahan, I ate some and it is good. Better than the waxed meat fried rice served at the restaurant. The restaurant fried the rice in dark soy sauce, used some fried waxed meat as garnishing on top, sprinkle some chopped spring onions and fried shallots over it. 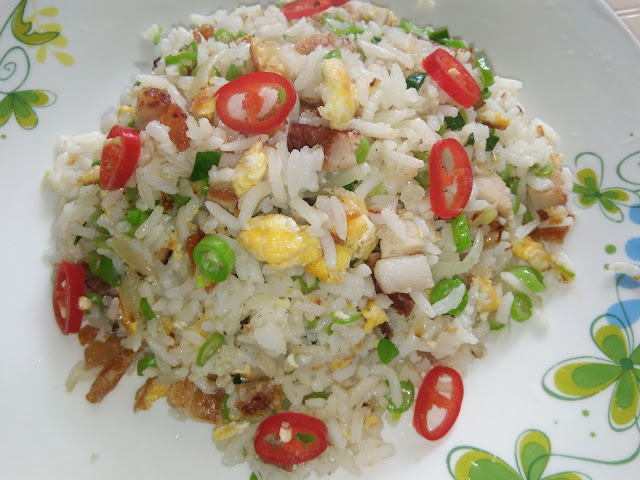 I love to eat fried rice especially if you added roasted pork,chopped some chili and spring onions Yummy..
Hi Ira, fried rice is a popular dish for many and is international. 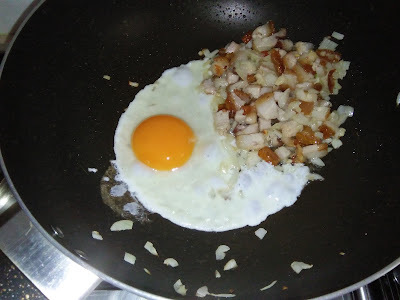 You can add any ingredients, they are always good. This one is yummy.